The stigma around HIV refuses to die down even after three decades since the virus was first discovered in India. 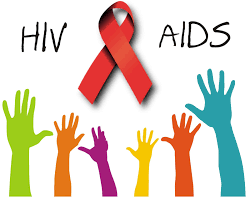 Despite several awareness campaign launched by govt and NGO,s the misconception about HIV/AIDS remain deep-rooted in our country. In a classic case of fear prevailing over facts, residents of a village in Karnataka’s Dharwad have forced authorities to drained out 36 acre lake after an HIV positive woman committed suicide by jumping into it. The villagers noticed the body of the 36-year-old woman floating in the lake on November 29.The flesh had been partly eaten by fish, which made them fear infection and decide to empty the lake. Rumour mills got to work as the word spread that the water has been contaminated creating panic among villagers. The authorities tried to convince villagers that when an HIV-infected person dies the virus dies with them, the virus could not survive in water and dies in a couple of seconds. They even offered to conduct test to prove that the water is not infected but the villagers would have none of it. “This is unfortunate. We have been telling people not to panic as HIV does not spread through water. But the people are not convinced and they have started draining out the lake,” Dharwad district health officer Dr Rajendra Doddamani told Times of India. The waterbody, which is roughly the size of 25 football fields, was the only source of drinking water for villagers and cattle but now they are prefer to walk 2-3 km to fetch water from Malaprabhha canal. 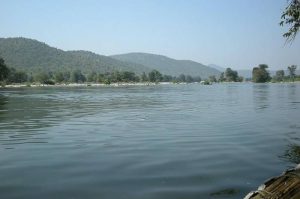 Last year, a boy had drowned in the same lake but no hue and cry was made over use of the water at that time, Ravi Kagadal, former panchayat member, told The New Indian Express. “Due to the fear of infection, the villagers don’t want to use the water, and are releasing it,” he added. As many as 20 water pumpsets have been installed to pump out water into nearby fields and drains in the village, The Hindu reported. Chief Executive Officer of Dharwad Zilla Panchayat B.C. Satish told The Hinduthat repeated attempts to convince villagers have not yeilded any results. “They have hired heavy-duty pumpsets to pump out the water. This is despite the fact that water supply through Malaprabha canal is going to stop on December 6. They are firm on their decision and have told the officials that they are ready to face any water crisis, but will not touch the water from the tank,” he said. “We managed to drain out lakhs of litres, and discharged the water in a nearby stream. We still have to drain water in a nearby stream. We still have to drain water from 60% of the lake and need at least five days to empty it,” a gram panchayat member told TOI adding that they are pumping the water out for last four days. According to the villagers, the lake became dirty after the dead body was found and since then nobody is ready to consume the water. “All of us together in the village are emptying the lake for safe drinking water. For now, we are taking water from the canal,” said Channappa, a villager.